(EN) Our whole world is made. Be it an everyday item, such as a door handle or a toilet, or an entire neighborhood, our built environments help us understand our cities and their narratives. (EN) As a result, the act of “making is an empowering process,” explains Joe Halligan of the London-based art collective Assemble. 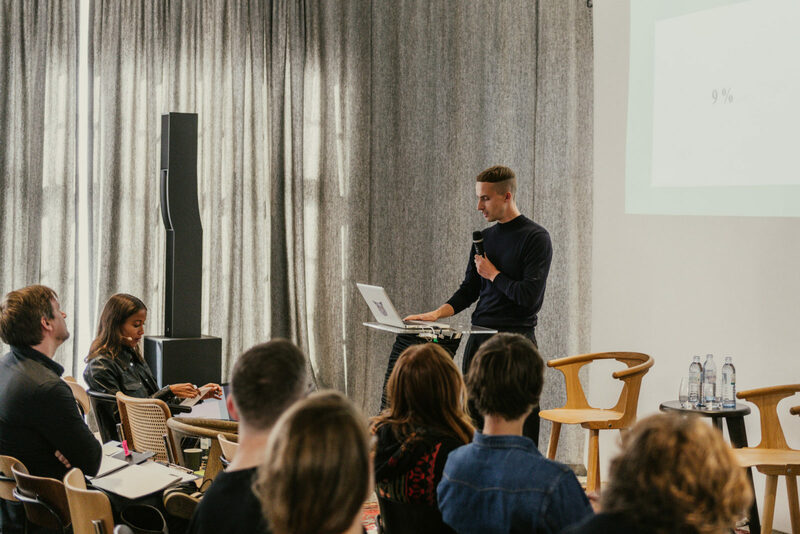 The trained architect opened the discussion at The Sooner Now, Berlin, an interactive festival dedicated to urban utopias, past, present, and future. Paddle Your Own Canoe, Halligan’s keynote talk, pivoted around his desire for everyone to have agency: “In order for people to help change cities and see them as something malleable and not fixed, you have to push your own position in the world, or paddle your own canoe, if you will,” he noted. This means overcoming the disconnect between how cities are made and the people that live in them. Key to Assemble’s work is uniting artists, craftspeople, developers, and tenants to foster collaboration and readjust the focus to building things by hand, as illustrated by their Turner-Prize-awarded project Granby Four Streets. 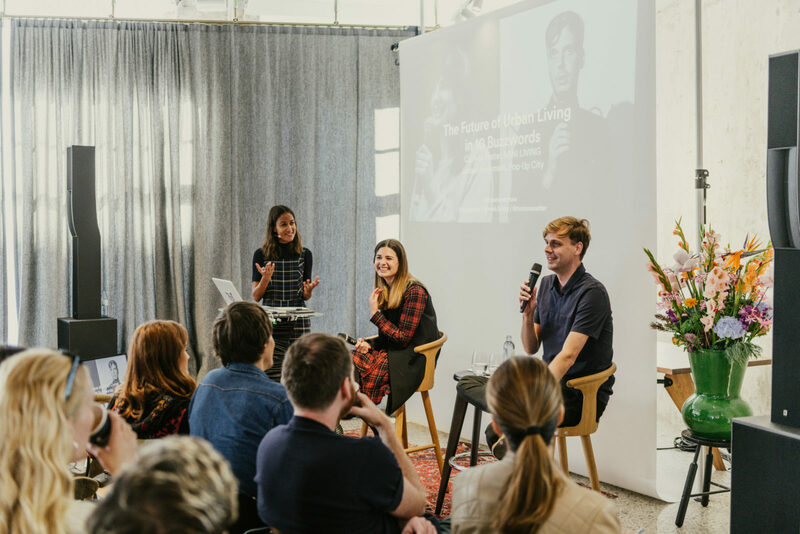 Halligan’s fellow speakers, Jeroen Beekmans, the co-founder of Golfstromen, an agency for urban transformation, and Corinna Natter, designer at MINI LIVING, also call for change; a need for spaces to become more fluid, and for public and private spaces to merge. They reject notions of homogeneous environments: “one of the main challenges for cities to overcome is to prevent islands within cities,” said Beekmans, who, like Natter and Halligan, was part of an eclectic cast of innovators from different dimensions of creative work. The joint initiative of FvF and MINI assembled individuals whose professions and practices are concerned with how citizens can actively take part in shaping urban life, and not solely architecture-based. (EN) Joe Halligan is part of the architecture collective Assemble, which won the Turner Prize for Granby Four Streets, a Liverpool-based restoration project that involved the public, architects, artists, designers, and craftspeople. 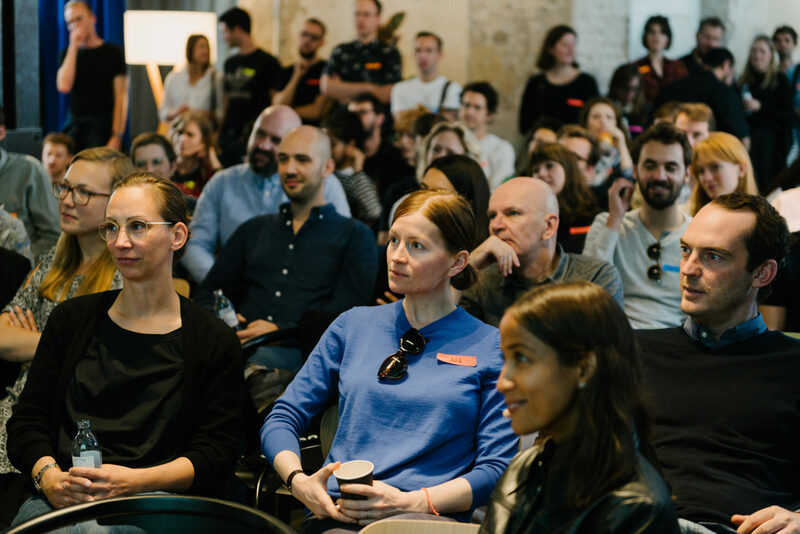 (EN) Natasha Grand’s agenda, in contrast, is based on the fact that cities are forced to compete for citizens; the founder of the Institute for Identity in London helps places understand and communicate their sense of personality. 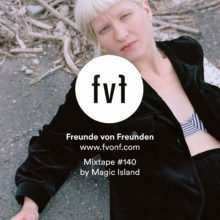 Instead of striving to build ideal infrastructures, her talk, What is the Personality of Berlin? suggested, every city needs to define its character in order to realize its full potential and to not only attract people, but motivate them to contribute their time and energy. According to Grand, common mistakes in place branding include cities’ disbelief in their qualities, and an unrelenting aspiration to be something better. “Why not accept what we have?” Grand asked. While her work has taken her from the UK to Russia and various other places, Victoria Okoye’s doctoral research circles around a specific region: West Africa. Okoye’s talk, Other City Narratives shifted the audience’s attention to Ga-Mashi, an indigenous community inside Ghana’s capital city Accra and its overlooked realties. Challenging the area’s rougher narrative, Okoye’s investigative photography project Akwaaba Photo employs inclusive and horizontal approaches and shows a different perspective of local life—that of the youth that lives there. (EN) Victoria Okoye is an urban planner, researcher and writer on public spaces, spatial appropriation, and citizen-centered urban design in West African cities. She explores the ways in which city dwellers in Accra inhabit, appropriate, and adapt their public spaces. 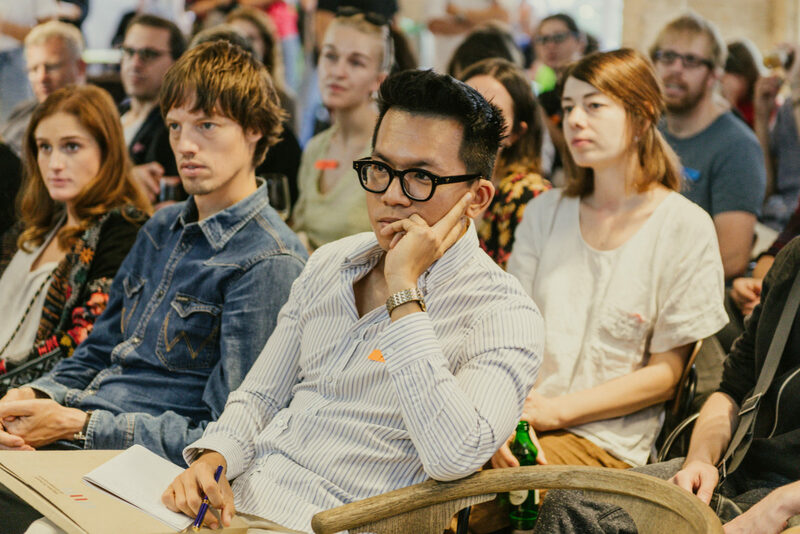 (EN) The Sooner Now is a platform to share such ideas and examine their potential. Outside of the urban framework as a catalyst for new ideals, they also challenge our mindsets. Why, for example, aren’t seasonal properties spatial design factors yet? Why are our societies reluctant to opening up to the idea of sharing space and everyday items to eliminate waste? Raised by Julian Schubert, the co-founder of architecture studio Something Fantastic, the question of seasonality refers to the fact that environments are always the same, but that their performances constantly changes. To overcome the status quo and achieve utmost efficiency, Schubert suggested during his talk entitled Seasonality, we need to understand urban design processes as negotiation processes and welcome undogmatic ways of utilizing space; in Winter we barely cycle, so why not repurpose allocated lanes during this season? (EN) Waste, in fact, is physical proof of inefficiency, according to Simon Uh Choll Lee and his talk Because there is no Planet B. In Germany alone, 55% of all waste derives from the building industry, not to mention the waste that is created within linear economies. Uh Coll Lee’s answer? To transform the notion of waste; in circular economy, no material leaves the space and its value increases with limited resources. Homes or housing units evidently lack libraries of things, Uh Coll Lee noted—one of many necessary real-life solutions. Architecture, in turn, is not short of living utopias. Vienna’s concrete housing complex Alterlaa, as captured by photographer Zara Pfeifer, continues to thrive. The multi-purpose ’70s modernist buildings in Abidjan, the capital city of Ivory Coast don’t lack interaction with citizens as seen in Laurence Bonvin’s film Avant l’envol; and public art reminiscent of political eras and social change is preserved by artists like Martin Bricelj Baraga. During the panel, Futures of the Past, Pfeifer, Bonvin, and Baraga discussed what we can learn from utopian ideas in architecture today. (EN) Jeroen Beekmans, the co-founder of Golfstromen, an agency for urban transformation, and Corinna Natter, designer at MINI LIVING call for spaces to become more fluid, and for public and private spaces to merge. (EN) Julian Schubert, the co-founder of architecture studio Something Fantastic, raised the question of seasonality, and how seasonal properties are potential factors in spatial design. 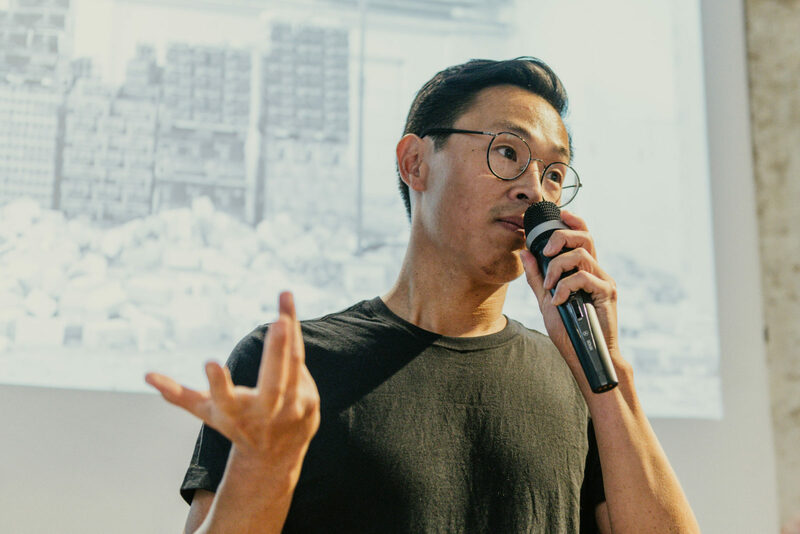 (EN) During his talk, Because there is no planet B, Simon Uh Choll Lee, discussed the need to turn linear economies into circular ones. (EN) With What is the Personality of Berlin? 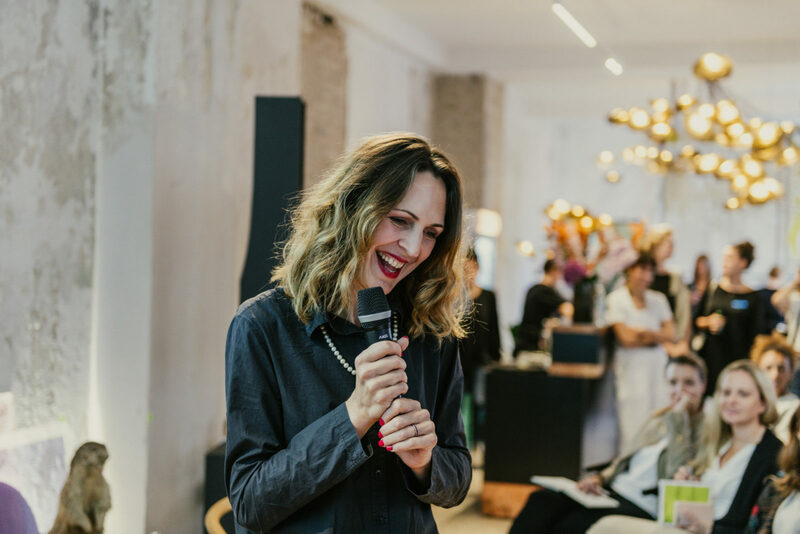 Natasha Grand, the founder of the Institute for Identity in London, presented how cities can understand and communicate their sense of personality. (EN) In her film Avant l’envol, filmmaker Laurence Bonvin documents the multi-purpose ’70s modernist buildings in Abidjan, the former capital city of Ivory Coast. (EN) Photographer Zara Pfeifer has dedicated her last work to documenting Alterlaa, a satellite city on the outskirts of Vienna. (EN) Artist Martin Bricelj Baraga's revolves around public art reminiscent of political eras and social change. 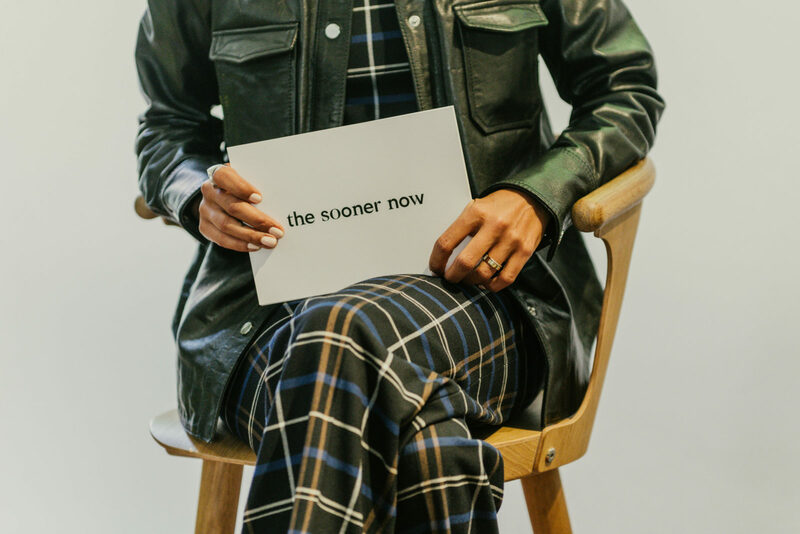 (EN) Moving from built complexes of the present to imagined cityscapes of the future, French art collective N O R M A L S invited the audience at The Sooner Now to participate in CCCC.city (“Foresee City”), a bespoke game that allowed users to determine their own personal utopia. Participants picked up a little starter kit which determined their role in the game and included a single building block, various tech stickers, terrain elements and a small model figure. By positioning these elements on a large interactive grid, a technologically advanced future-city was created. Inherent roles posed certain restrictions on the player; a “neo-hobbit” would prefer habitats covered in grass; a “skyline enthusiast” had to build onto an already existing building. By combining multiple blocks, players were encouraged to collaboratively construct larger pieces of infrastructure, such as airports, hospitals, or places of worship for religions made up on the spot. Underpinned by a collection of micro-narratives from participants, CCCC.city was a tapestry of urban fantasies. However fictional, the city simulation still implied that the power lies in making; we have to continue to physically make in order to implement visions. Current processes and methodologies remain a constant, and doing what we are doing now doesn’t limit us to the technologies of tomorrow. Whilst we shall paddle our own canoe, our collaborative effort and shared ideas (for infrastructures) pave the way for urban futures. (EN) French art collective N O R M A L S invited the audience at The Sooner Now to participate in CCCC.city (“Foresee City”), a bespoke game that allowed users to determine their own personal utopia. 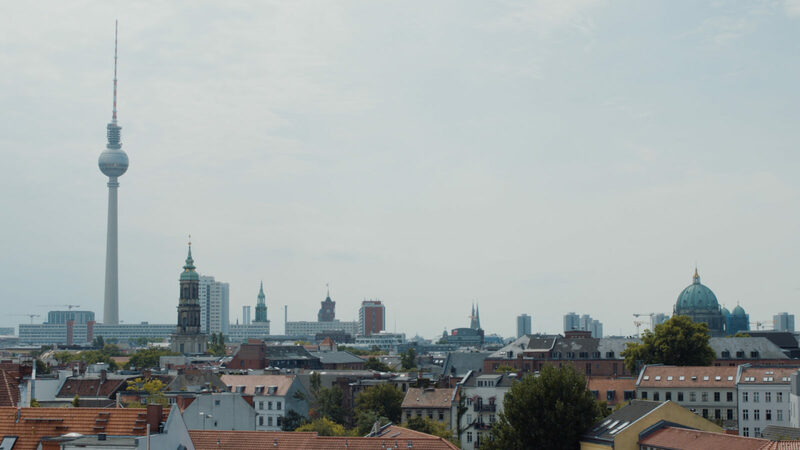 (EN) The Sooner Now is a joint initiative of MINI Germany and FvF to collectively examine ideas for urban life. Now in its fourth year, the event series returned to the FvF Friends Space and invited the audience to survey urban visions in a day-long program of dialogue, experimentation, and play. Key speakers included architect Joe Halligan, doctoral researcher Victoria Okoye, and artistic duo N O R M A L S.
The festival that included talks, panels, and an interactive game were made possible with the support of IDEAT Magazine, as well as many other partners: Special thanks go to Soda Books, Fundamental.Berlin, Five Elephant, Brot & Zeit, Son Kitchen, Roe & Co, Vöslauer, Carpe Diem Matcha, Ostmost, Mono Tee, Stone Brewing Berlin, Weingut Baumberger, LA Cold Press, Dedon, Manufactum, and Marsano.